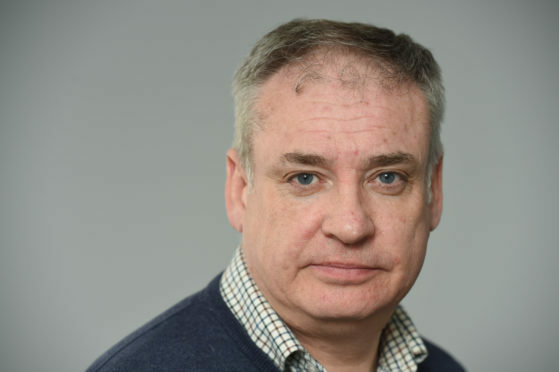 The Moray MSP, who has been campaigning against “rip-off” fees for deliveries to remote areas, backed the suggestion after meeting with courier company DPD, which transports thousands of parcels each day to the Highlands and Islands. The meeting in the Scottish Parliament was a chance for Mr Lochhead to make his concerns about the surcharges known to Steve Kington, Scottish Regional Manager for the company. DPD is owned by the French Post Office and delivers 4,000 parcels per night into the Highlands and Islands. The company employs 1,000 people across Scotland. The Scottish Parliament Information Centre (SPICe) has calculated additional parcel delivery surcharges cost Scotland an extra £38 million a year compared to the rest of the UK. According to the SNP MSP, Mr Kington confirmed DPD charge different rate for Highland and Island deliveries, but these are agreed beforehand with the retailers they work for. “DPD have suggested that local parcel pick-up and drop-off facilities, that can be shared by multiple parcel carriers, could be a way to lower delivery costs,” Mr Lochhead said. “This would require industry wide cooperation but it remains a possibility we should continue to explore and I have asked DPD to do so. The MSP’s campaign has received cross-party support in the Scottish Parliament and has been backed by online retailers such as eBay. The Advertising Standards Authority has also investigated two dossiers, containing details of over 200 companies referred by Mr Lochhead for “unfair” surcharges. A DPD spokesman said: “Retailers and carriers face higher costs for delivery to the Highlands and Islands, including increased fuel and the use of third-party local contractors to make the final delivery.